Canada’s Association of Information Technology Professionals is one of the oldest Canadian computer science organizations, and operates on a national level to bring together I.T. industry professionals, researchers, and students. CIPS Fellowship is the highest class of membership in the organisation, reserved for a small percentage of individuals who have contributed on a national level to the advancement of their profession or field. Professor Lethbridge was very active in CIPS long before becoming a CIPS Fellow. He was chair of the Computer Science Accreditation Council in CIPS, the organization that accredits Computer Science programs nationally. Moreover, Prof. Lethbridge is on the Provincial and National CIPS Board of Directors. 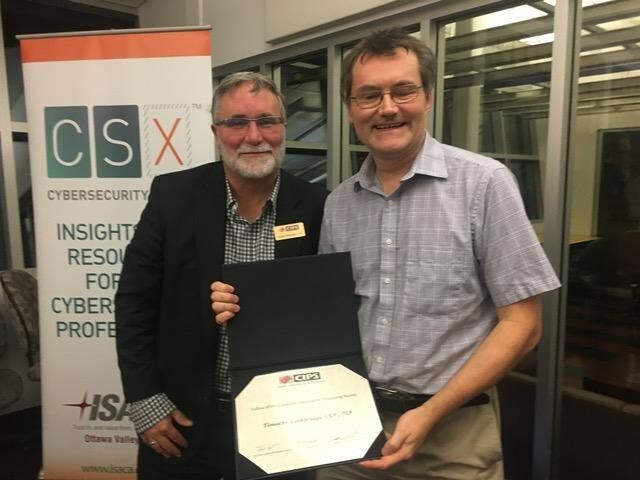 His contributions to CIPS and to the field of computer science through research and education stood out to the members of CIPS and earned him a place among the CIPS Fellows. Congratulations, Professor Lethbridge, on becoming a CIPS Fellow!